I wanted to create a list that included dishes that were reasonably timeless – menu items that a visitor to Boston could order 6 months from now, or even a year from now. That means that some of my favorite restaurants (those whose menus change too quickly due their heightened focus on seasonality – e.g.. Bergamot, Bondir, and the like), won’t make it on the list even though their seasonally-inspired dishes are always really, really good. This list is by no means comprehensive. Please comment below letting me know what are YOUR favorite dishes in Boston. It would be so cool to hear what everyone has to share. There’s no secret that Neptune Oyster is one of the hottest seats in town, with a never-ending line out the door and not-unheard-of 3-5 hour waits for a seat. Although most people would recommend the hot lobster roll as the signature dish (and don’t get me wrong, it’s a mighty fine dish to get), my personal favorite at Neptune is the Johnny Cake, a perfectly griddled pancake topped with smoked trout and caviar. The sweet salty combination is divine. While at Neptune, definitely also order some fresh oysters, as well as any of their excellent seafood entrees. This is one of O Ya’s signature dishes, and it’s a favorite that I always order. Even though I’m not usually a fan of foie gras due to it’s liver-like flavors, even I have to admit that this particular dish is perfect. A seared piece of foie gras is served over sushi rice and topped with a chocolate balsamic kabayaki sauce. The resulting bite – sweet, savory, creamy, intense, chocolatey – is absolutely stunning. Other excellent signature dishes include the Kumamoto oyster, mushroom “sashimi”, onsen egg, and yellowtail with banana pepper mouse. Boston went crazy when Gene’s Chinese Flatbread Cafe opened in 2012. Finally, after over a decade of not having its own hand-pulled noodles (trust me, I tried looking), Gene entered the scene by opening up a tiny little shack way out in Chelmsford (45 minute drive from Boston) that focused on Xi’an regional Chinese cuisine, including hand-pulled noodles. These chewy noodles are loaded with flavor, tossed with tons of garlic, chili powder, cilantro, and scallions. 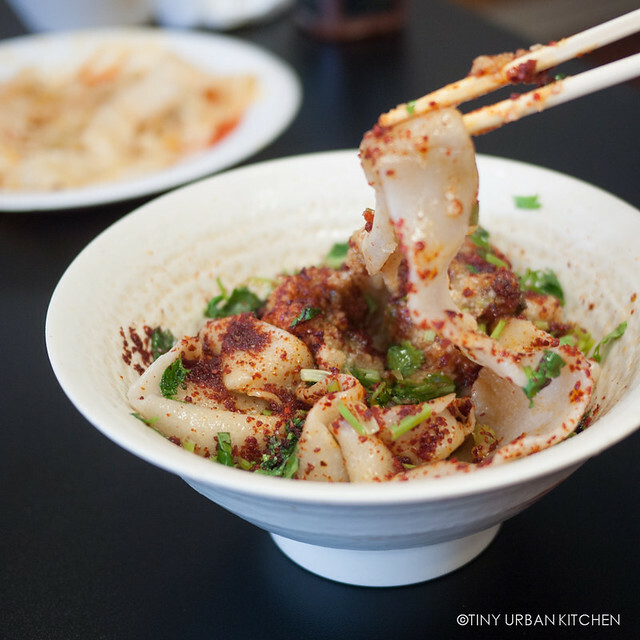 Gene opened up a second location in downtown Boston not too far from Chinatown in 2013, which makes these delicious noodles much more accessible now! 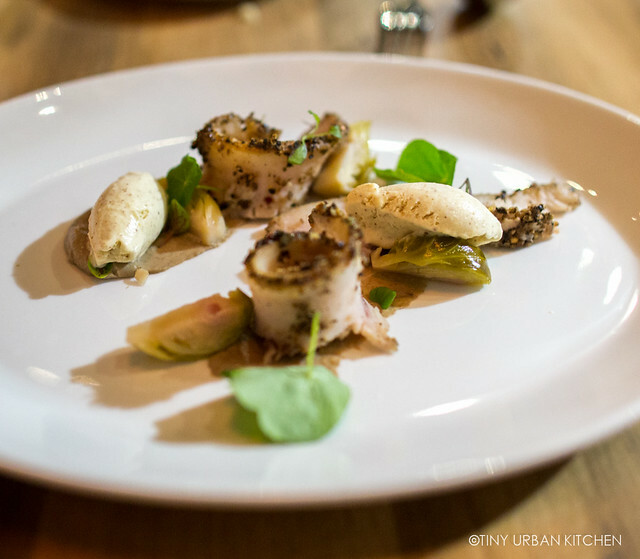 I’ve been a fan of Chef Will Gilson’s cooking ever since he started out at Garden at the Cellar, which was right across the street from our old condo. He finally opened his own restaurant just about exactly two years ago (2012), and I’ve been enjoying his cooking ever since. Even though he changes a lot of the menu, he has always kept the swordfish pastrami on the menu, and for good reason. This unusual dish comes with house-cured swordfish pastrami, horseradish ice cream, and whatever vegetables are seasonal at the time. The combination of flavors is excellent, and I can’t help ordering it every time I go. Tony Maws is one of the most talented and hardworking chefs in Boston, and pretty much almost everything at both of his restaurants are really really good. His Spanish octopus is better than any other octopus I’ve ever had in Boston and competes with the best in the U.S. It’s tender, juicy, and super flavorful. Muqueca is a family-owned Brazilian restaurant in Inman Square that makes great coastal Brazilian food, with an emphasis on seafood dishes. 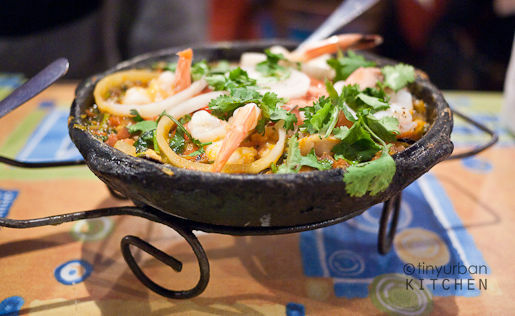 Their signature dish, the moqueca, consists of fresh seafood cooked with tons of aromatics inside a traditional clay pot. It’s fragrant, super flavorful, and oh-so satisfying on a chilly day. The founders of Area Four obsessed over making the perfect pizza crust, traveling for weeks over the U.S. studying the art of pizza dough. Their final product uses a 12-year old sourdough starter as well as other secrets to make a delicious crispy crust that works beautifully with creative toppings. Area Four is my favorite casual restaurant in Cambridge. On top of having excellent pizza, they also have a great beer selection, fantastic salads, and overall great food. Kaddo Bourani is one of my favorite dishes from The Helmand, a very popular and reasonably priced Afghan restaurant tucked in East Cambridge. 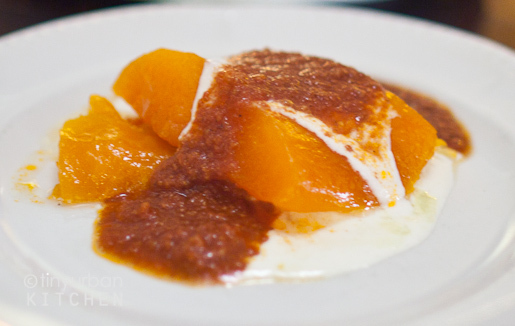 Caramelized sugar pumpkin is served with a savory meat sauce and a creamy garlic yogurt sauce. All three ingredients come together beautifully, with that perfect sweet-savory balance. 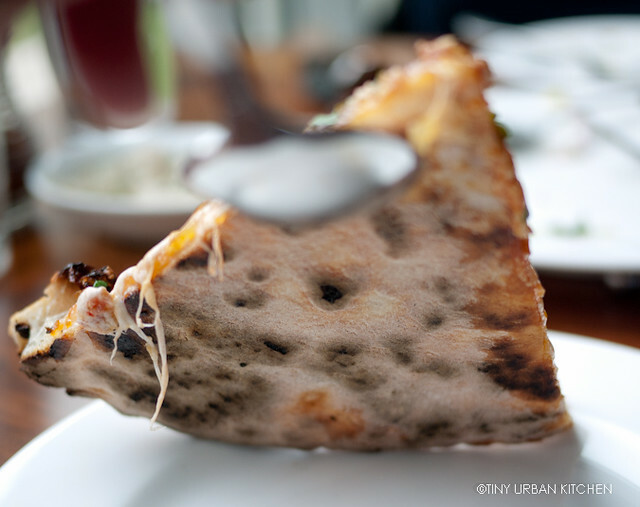 Enjoy this with some of Helmand’s delicious warm hand made flatbread, which they make in huge brick ovens right at the front of the restaurant. 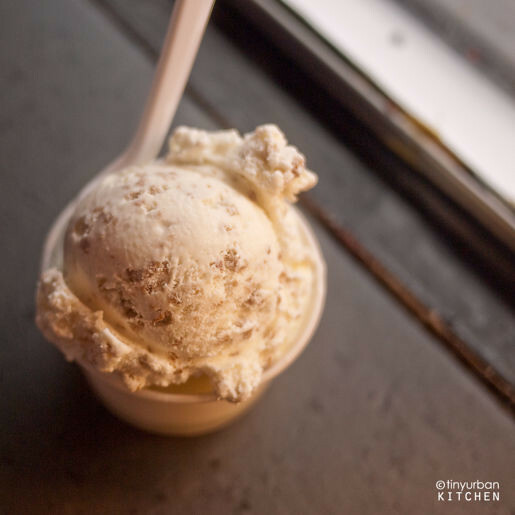 Boston is so crazy about ice cream, the ice cream shops are still packed even in the dead of our frigid winters. Although people will argue ad nauseum about who (Tosci’s or Christina’s) makes better ice cream, I prefer Toscanini’s because of its thick creamy texture and fun, authentic, and unusual flavors, including one of my favorite flavors in the world: Grape Nut (so very New England!). Other excellent flavors include their dark chocolate (it’s super chocolatey), mango sorbet, and burnt caramel. I didn’t fully appreciate how much effort it took to bake this scrumptious vanilla infused loaf until I tried it myself from their published recipe. 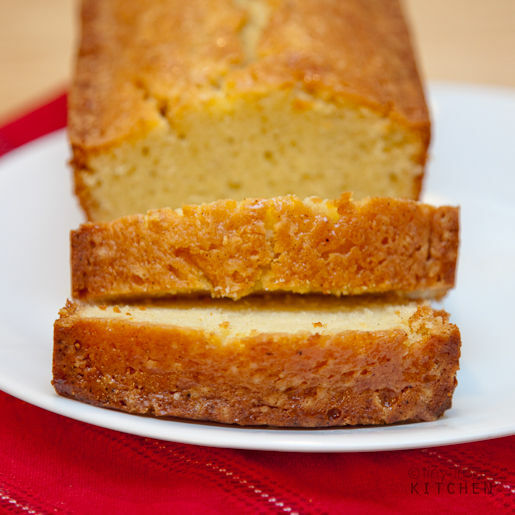 This pound-cake like dense loaf from Hi Rise features a golden brown crunchy “crust” that’s made by painting three layers of vanilla bean sugar syrup on the exterior of the loaf. The resulting loaf is rich, gorgeously fragrant, and downright addictive. I love it with a shot of espresso every time. So that’s my list . . . at least that’s where it had to stop since I capped this list at 10. 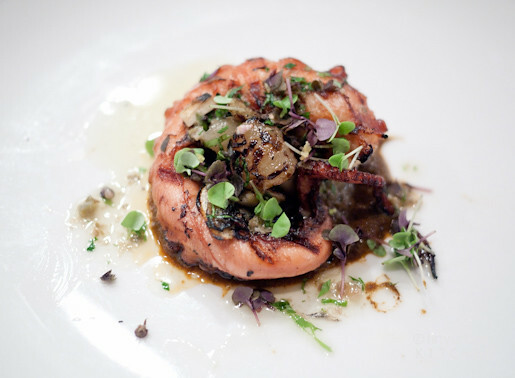 Obviously there are many, many more phenomenal dishes in our lovely city. I’d love to hear some of your favorite dishes. Please comment below and share! This post was done in partnership with Expedia. All opinions are my own. My most recent favorite is the lamb and grape leaf tart with orzo at Oleana. I also love the mashed potato, bacon, and scallion pizza at Otto. Have you been to Lala Rokh? There’s some great stuff on that menu too! I have not been to Lala Rokh yet. My impression is that parking is difficult around there, so I haven’t mustered up the energy to head on over there. Thanks for the rec though! Johnny Cake from Neptune Oyster is my favorite, too! So, so good.